Chels Marshall is introduced by Dana Bergstrom. Traced and animated by Lisa Roberts. Totemic relationships inform and inspire Indigenous peoples as Landscape ecologists. This knowledge is revealed and passed on through the arts. 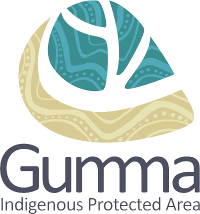 This conference will host the first presentation of an evolving "Gumbaygnirr Story", a video installation being developed by Living Data leader Lisa Roberts with Gumbaygnirr woman Chels Marshall, renowned expert in ecology and Aboriginal marine science. It combines expressions of understanding shared though Indigenous and non-Indigenous cultural arts and sciences.